Michel Cleis is releasing his over demanded first solo release on Cadenza records. For sure you have heard La Mezcla in the last few months, as the track is played by a lot of different artists in the house scene. It’s time now to get into Michel’s journey through sound, which is full of acoustic materials. When you listen to his music you feel the roots behind it. With La Mezcla, Michel hit it straight to the middle of what could be called “House World Music". The man behind the groove is a hedonist.. He grew up with soul music and jazz and up kept his eclecticism by opening up to rock and techno. Michel Cleis productions are full of vibrant, joyful and “ethno mixed electronical” beats; he flaunts his love of shaking music using sampled instruments. 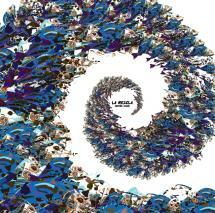 His first release on Cadenza called Uva Fragolina EP, was a collaboration with Salvatore Freda. Michel Cleis is without a doubt one of the most promising swiss house music producers. Make sure you remember that name and definitively check out this strong release.